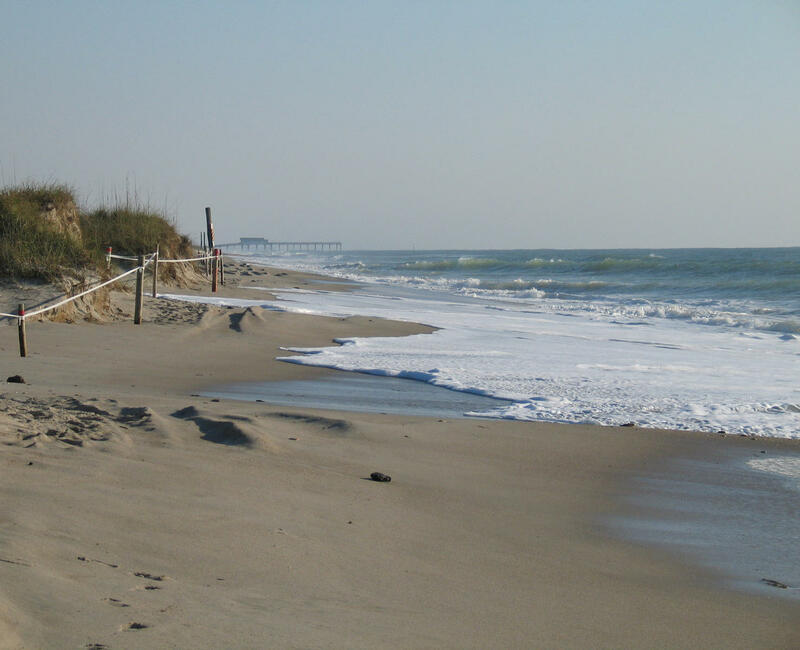 Officials in North Topsail Beach called a special meeting just last week to address the loss of 900 feet of dunes. It’s thought that winter storms and two hurricanes are the cause of erosion. But there may be another contributor. A team of researchers at the University of North Carolina at Chapel Hill’s Institute of Marine Sciences recently published results of a multi year study conducted in Onslow County that found sea level anomalies, or periods of higher-than-normal water levels, can cause extensive erosion. This week, I spoke with Ph. D Student Ethan Theuerkauf about the study and the impact sea level anomalies have to our beaches. These photos show Onslow Beach in 2009 when it was being impacted by frequent sea level anomalies.